I went out of town for Spring Break. We went to visit family in Utah. While we were in Salt Lake City, I checked out a new shopping area called City Creek and it was magnificent! It had H&M, Tiffany, Nordstrom, Michael Kors and lots, lots more. It was a beautiful shopping center. I also discovered the "food court." It was there that I tasted a fantastic salad. I tried my best to re-create it. 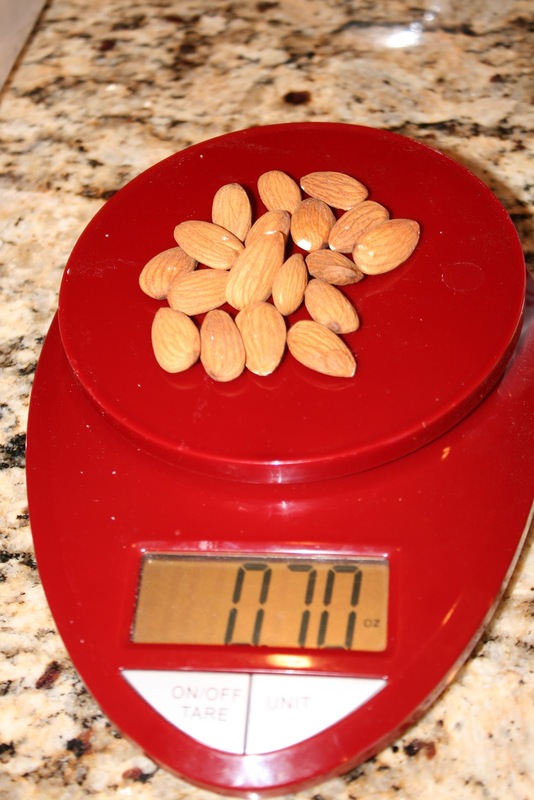 Raw almonds; I weighed them so I could easily count the calories. Measure out 1/4 cup white beans, drained and rinsed, 5 dried apricots chopped, and 4 Tbs Monterey Jack cheese; cubed. Place over a 6 oz bed of mixed greens. Top with 3 oz grilled boneless, skinless chicken breast if desired. I seasoned mine with Lowry's Season Salt. Since I was making an individual salad, I used 1 Tbs. vinaigrette. 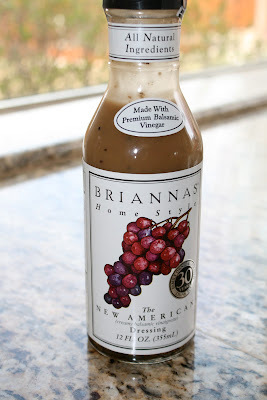 I love Briannas but any raspberry vinaigrette or homemade vinaigrette would be delicious too. Toss salad to mix. I love the crunch of the almonds and the sweet, chewy dried apricots. Thanks City Creek for the inspiration. P.S. this salad has a total of 586 calories. It is a very generous main dish. Enjoy! 0 Response to "City Creek Salad"